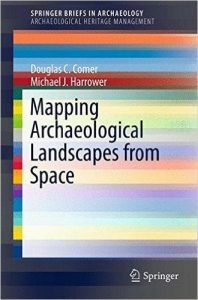 Mapping Archaeological Landscapes from Space offers a concise overview of air and spaceborne imagery and related geospatial technologies tailored to the needs of archaeologists. Leading experts including scientists involved in NASA’s Space Archaeology program provide technical introductions to five sections: Historic Air and Spaceborne Imagery, Multispectral and Hyperspectral Imagery, Synthetic Aperture Radar, Lidar, Archaeological Site Detection and Modeling. Each of these five sections includes two or more case study applications that have enriched understanding of archaeological landscapes in regions including the Near East, East Asia, Europe, Meso- and North America. Targeted to the needs of researchers and heritage managers as well as graduate and advanced undergraduate students, this volume conveys a basic technological sense of what is currently possible and, it is hoped, will inspire new pioneering applications.